Student responses included, “I would make own museum,” “I would first ask permission [to change the museum],” and “I would ask my mom [for help].” Students responses were affirmed as the story continued and they learned Milo actually pursued some of their ideas, like asking an adult and even creating her own museum to reflect her community. At the end of the story Milo changes the name of her museum to “The People’s Museum” when her friends ask her if they could incorporate items from their community into the museum. 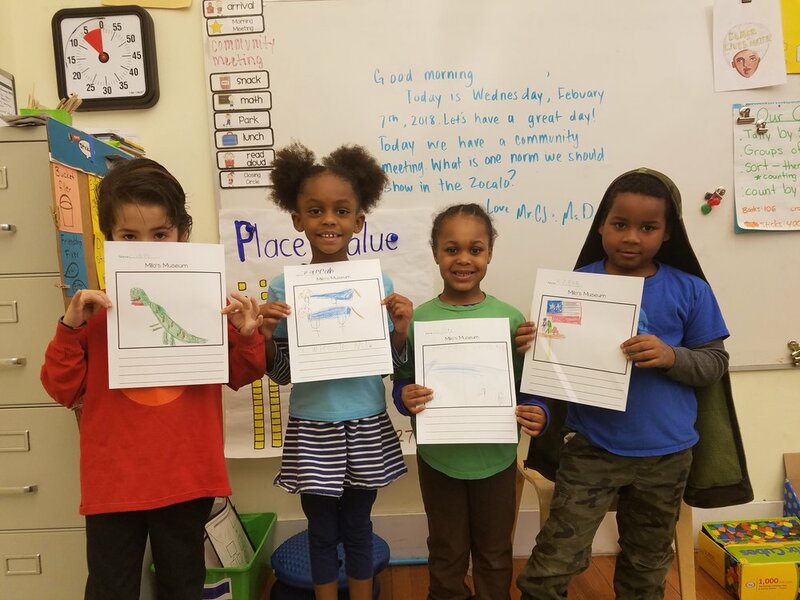 As a closing activity, students were invited to draw a picture of an item that was special to them and their family that they could include in a museum. Some students drew pictures of family members that have passed away, while other students drew pictures of their favorite pet, sport, or game. Students' completed products will be posted around the school community along with items students created in other grade levels as part of the Black Lives Matter Week of Action in Schools.